Born in Lisbon, on the 5th July 1980. College degree in Communication Sciences – Cinema Studies by Universidade Nova de Lisboa. She started to work in cinema programming in 2004 in Filmoteca de Catalunya, Barcelona, and since 2005 she is the programming coordinator in a Lisbon’s City Hall department – Videoteca. 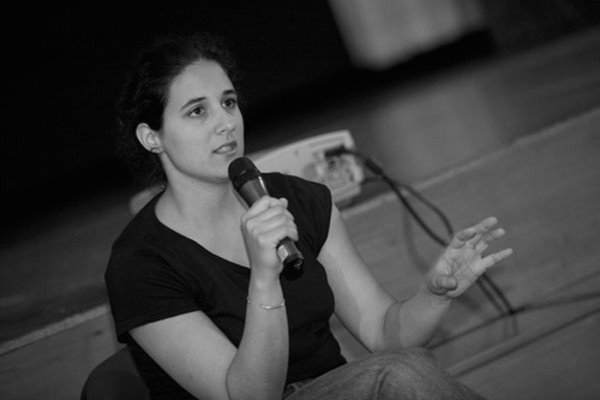 There, she was responsible for projects such as Panorama (Portuguese Documentary Showcase), Ler Cinema (Reading Cinema – a particular look on a certain Portuguese cinema), Mostra de Curtas (Portuguese Short film showcase), Encontros no Écran (Encounters on the screen – a dialectic program which created unsuspected encounters between films, cinema characters or themes), Ver Fazer (screening and analyzing unfinished films). “Retrato de Inverno de Uma Paisagem Ardida” is her first film.